WOW doesn’t even begin to describe this book; it’s neither an articulate enough nor descriptive enough word to describe all the emotions that this book evokes. 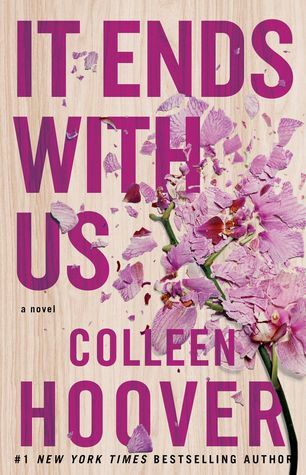 Colleen will break you, it won’t be pretty but I truly believe that this is a MUST read book of 2016. I HIGHLY recommend that you go into this story blind, I did as much as I hated that, it was well worth the tears. I would even consider buddy reading this book, you will need the support! 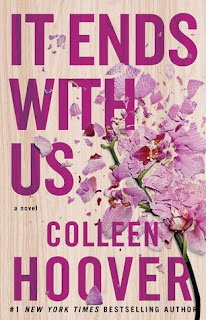 I will admit that I was nervous about reading this book, based on the number of friends that had read it and were broken. Colleen broke some pretty tough hearts with this book. It Ends With Us covers a topic that everyone should understand better if not for ourselves then for our friends, daughters even our sons. Colleen broke me at 96% that is when the tears fell in a steady stream. They were falling because I was sad to see someone loose something that they truly loved with all their heart. They were falling because I was so happy that someone was standing up for someone who needed more protection than the other. They were falling with the hope that they would all be able to achieve their happily ever after. Would I like to see a follow up to this?? Yes and No, I think she ending it at a good place, you know that there will be some drama to come. Do I want to witness it or live blindly that everything works out? I’m not sure how much more my heart can take. good review! Makes me want to read it!